Well done on taking your first step towards achieving your IELTS test goal. I guarantee you that if you follow this step by step IELTS course, by the end of 20 days your IELTS Band Score WILL GO UP. IELTS Twenty20 isn’t your “regular” IELTS course. Don’t think for one second this is some “boring, death by multiple choice” practice course. This step-by-step, follow along course will give you the techniques you need to start improving your IELTS band scores within 48 hours of you starting the course. Don't leave your friends behind. Tweet & let them know that you just started with IELTS_T20. If you need any more help, feel free to email me at hello@ieltsonlinepractice.com or join one of the IELTS Twenty20 correction packs to receive unlimited personalized feedback on writing and speaking tasks. -The IELTS Twenty20 course covers all modules and every single topic for IELTS. -Go through the topics in the sequence that we have arranged them. -If you think you already know enough about a topic, just skip and go to the next one. -Assignments are at the end of each module and are named “Submission —“. Try to submit 1 or 2 assignments a day. The assignments have instructions on how to submit them via email. -Our tutors will mark your assignments and send you a detailed feedback within 12-24 hours. -Keep working on new assignments or reading the online tutorials while you wait for the feedback. hello, I am radiology technician.I want to start IELTS courSe .please you help me to start. 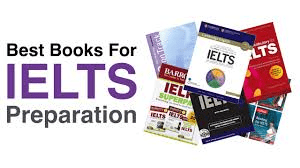 What are you struggling with in your IELTS preparation? I am a researcher. I want to write the IELTS in order to secure a scholarship with James Cook University, Queensland Australia on the 13th May, 2017. Please, do assist me so that I will pass it. Great to have you here. Go over the tutorials and let me know if you have any specific questions. I have just started this course, I got 5 total scores in general and I must take academic 6.5 at least… I am nervous … I hope this course can assist me to get that score within a month from now. I look forward to helping you achieve your target IELTS score. I wanna join this course IELTS 20 ,but i would prefer hard copy of book,it also included in course contents. Unfortunately, there is no hard copy for this course. The course material consists of several videos and audios which require online access.